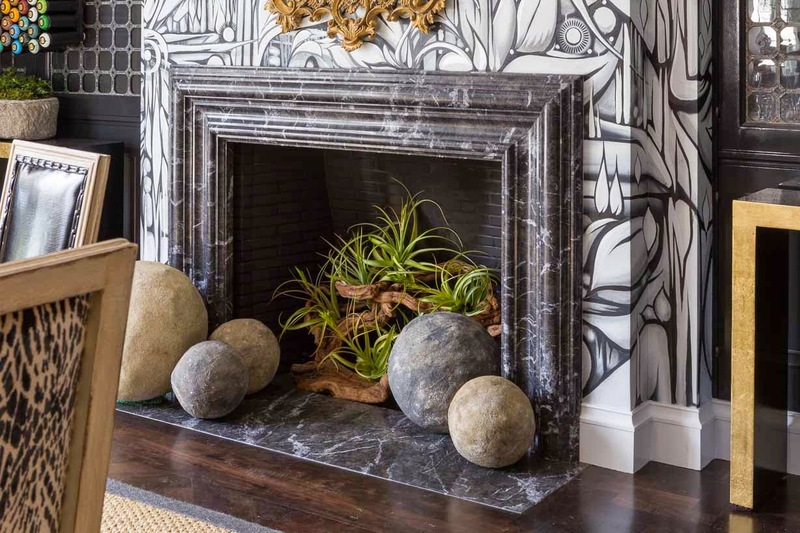 The prestigious San Francisco Decorator Showcase opens officially on Saturday April 25, at 3630 Jackson Street, Presidio Heights, San Francisco, after several evenings of opening celebrations. The fantastically successful annual showcase, a benefit for University High School, has raised countless millions for this top school—and it is a tribute to San Francisco’s brilliant and generous design community that the event continues to be a highlight of the city’s design year. 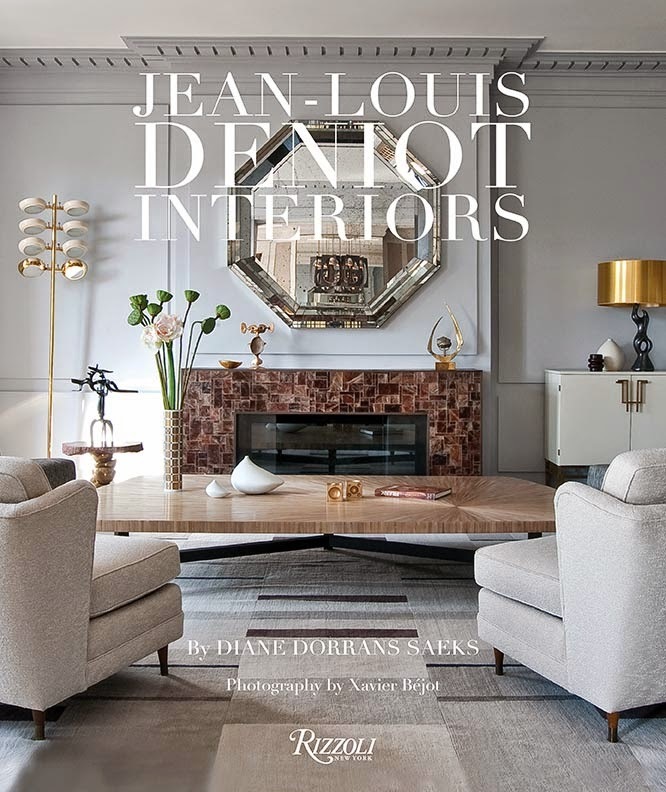 Bravo to all the inspired interior designers and architects who are participating this year—and special applause for San Francisco’s talented decorative artists, craftspeople, painters, and many specialist professionals who donate their work so generously. 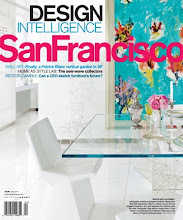 This week I’m highlighting the dining room, ‘Street Soirée’ designed by San Francisco designer, Cecilie Starin. 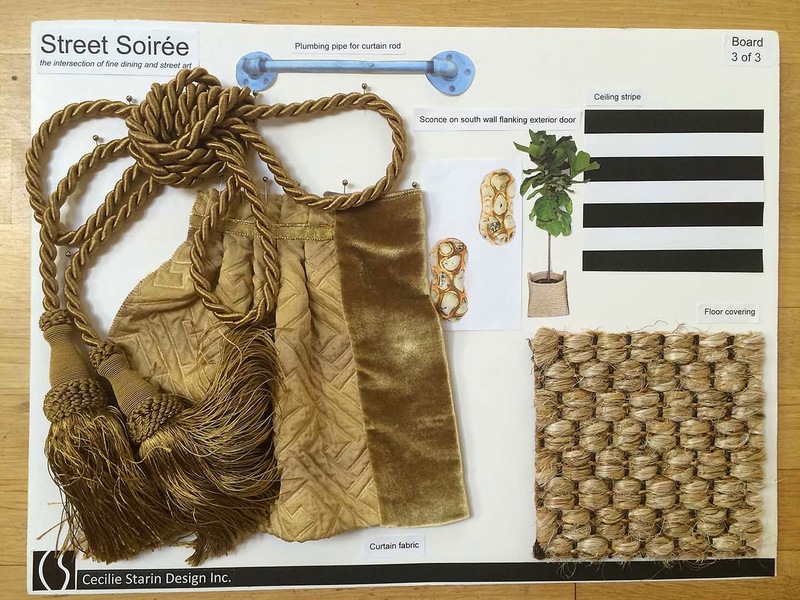 I was particularly impressed with the design boards she presented—and she captured my attention when she noted that her original inspiration was a dining room by Orlando Diaz Azcuy. In particular, I’m excited to see commissioned wall painting by street artist Ian Ross, an important talent who has also created mural art for Google and Facebook and other leading tech companies. Come with me today to learn about the street art movement, and see newest art concepts. 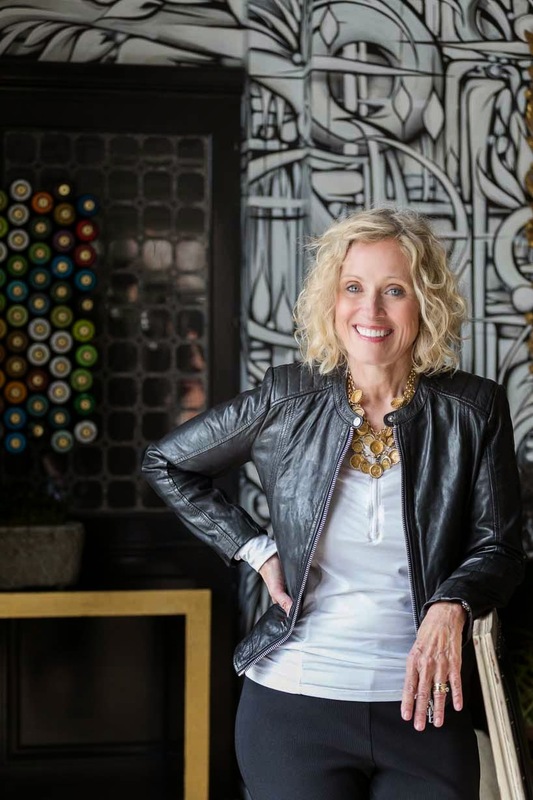 San Francisco interior designer Cecilie Starin is a veteran (this is her fifth room) of the annual San Francisco Decorator Showcase, a benefit for University High School. 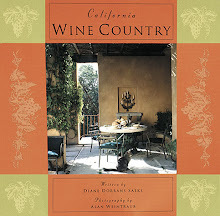 The event is now well into its fourth decade and is considered one of the most prestigious in the US. 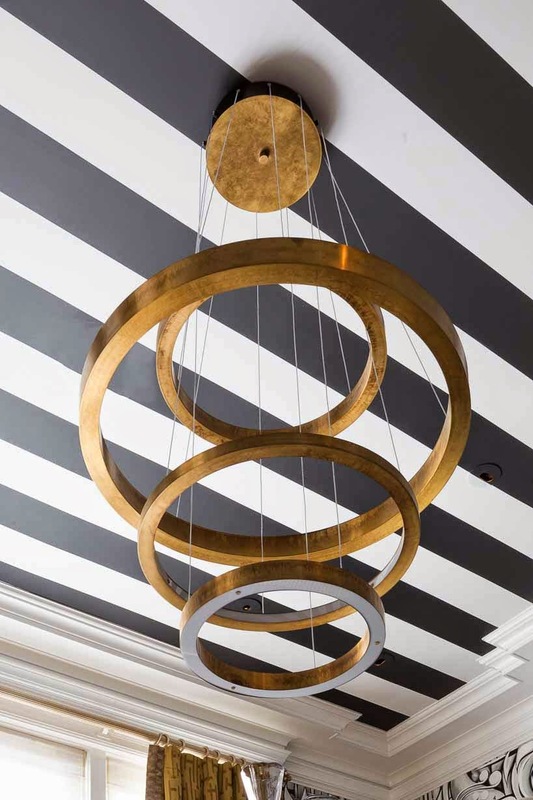 Cecilie’s dining room combines black and white graffiti-inspired street art walls, chic Louis XVI chairs, a dramatic chandelier, and a striped ceiling, illuminated by Julie Morgan’s beautiful natural light. 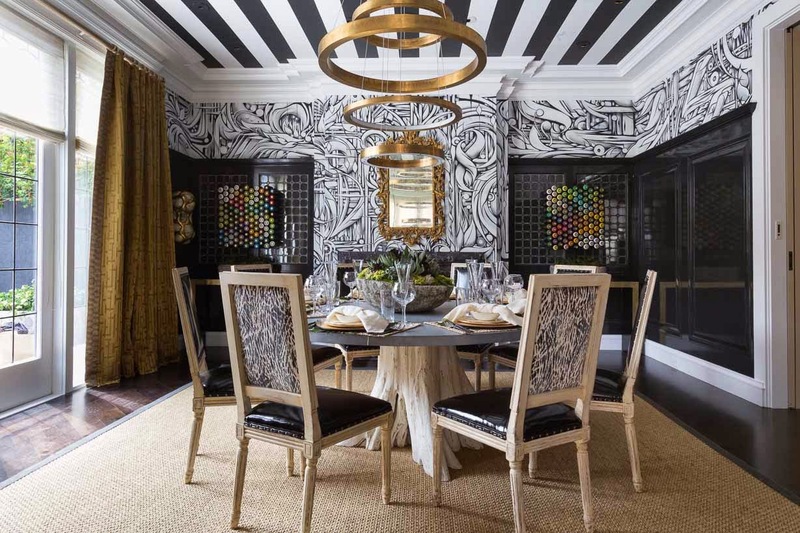 She dubbed her dining room ‘Street Soirée’ as a tongue-in-cheek reference to the spray-painted walls and the inspiration of Orlando Diaz-Azcuy's chic style. See my conversation with Cecilie Starin below to learn about her ideas, her concept, her wit, and her inspiration. Dramatic ‘process' shots are at the end of the informative text. I recently sat down for a conversation with Cecilie Starin to discuss her inspiration, her ideas, her process and concepts. Come with me and listen in. DDS: Cecilie, this is your fifth Showcase room. Congratulations. You said one of your inspirations was a glamorous showcase dining room designed by Orlando Diaz-Azcuy about twenty years ago. CS: Thank you. I am honored to be invited to participate in Showcase and excited to be working in a Julia Morgan designed house. I am a huge fan of Orlando’s work. His ability to pull away the non-essential and leave only the elements that convey his pure message is impressive. 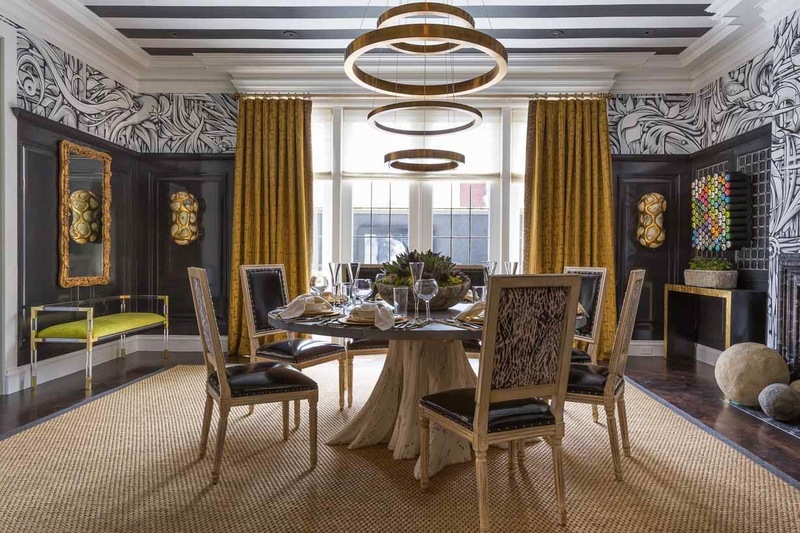 The restrained color palette of black white plus grass green and gold drew me to Orlando’s dining room initially. I like to create juxtapositions and tension in my own work. DDS: Your initial presentation and final room reflect the chartreuse colors Orlando loves. CS: I wanted to keep the color palette very concise for the room. It is black white and acid green with a touch of gold. I saw the black and white street art mural as the update to the classic, shades of grey, grisaille mural in Orlando’s space. DDS: The room has pretty light and excellent proportions. 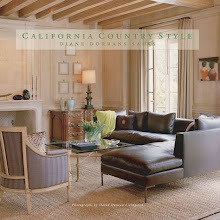 CS: The large south- facing French door with sidelights and ten-foot ceilings make the room feel light and airy. The room measures twenty-two feet x seventeen feet. DDS: Street art. Graffiti. What was your concept? How did you find Ian Ross, the mural artist? 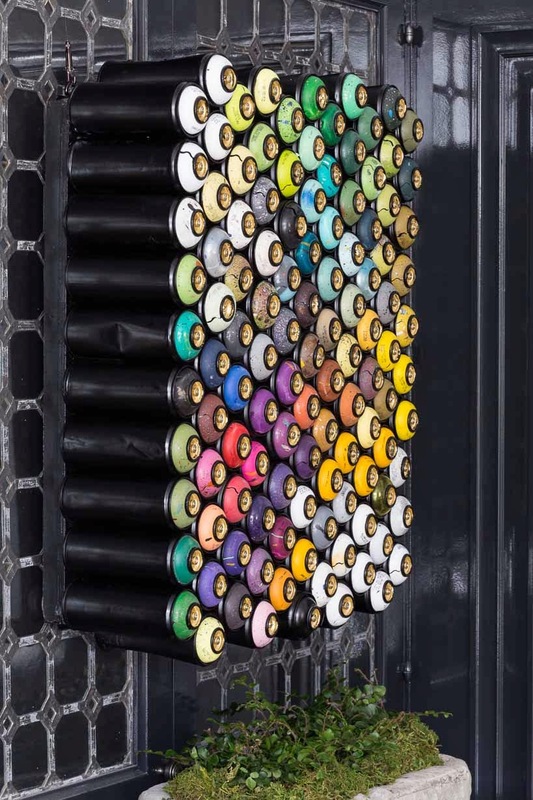 CS: I would like to make the distinction between Street Art and Graffiti as defined by Ian Ross and others. Ian believes that Street Art is about beautification. Most of the Street Art in San Francisco is sanctioned and approved and often paid for by the building owners. It is regulated and protected by art commissions in the city. Ian is a Street Artist. He does not consider himself a graffiti artist. There is some crossover between the two areas however. There are many websites with information about street art. There is streetartsf.com, which pictures street art and makes it searchable by location and artist. 1amsf.com is a site and gallery. 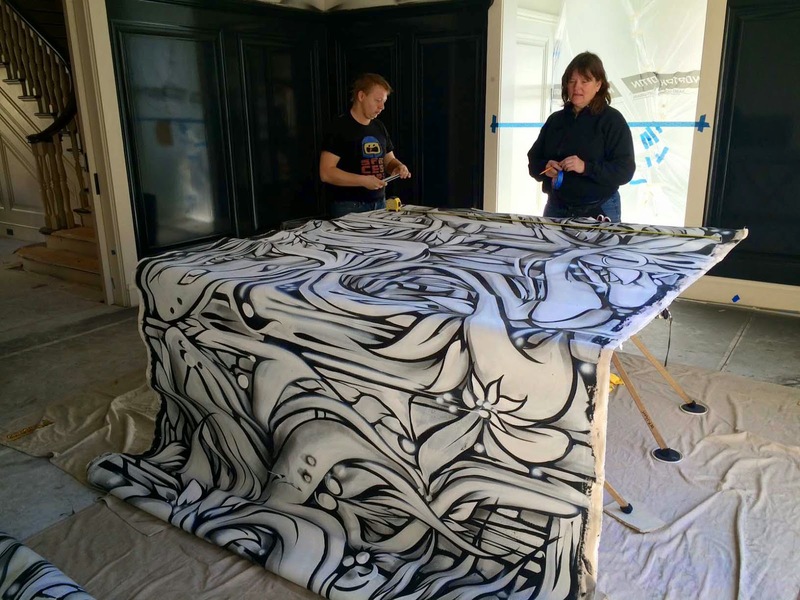 It sells spray paint to aspiring street muralists and give street art tours. I have been intrigued by street art for many years. Jean-Michele Basquiat is one of my favorite painters. I had just seen the Keith Haring show at the De Young. What I see in the streets is so exciting to me because it is the return of illustration which died with the take-over of photography in the mid-70’s/early 80’s which is just about the time the Street Art movement began. This is all part of the Maker Movement. As I was preparing my presentation boards, I was drawn to Ian Ross’s work because it was graphic, non-representational and organic in nature and I especially liked his black and white work. 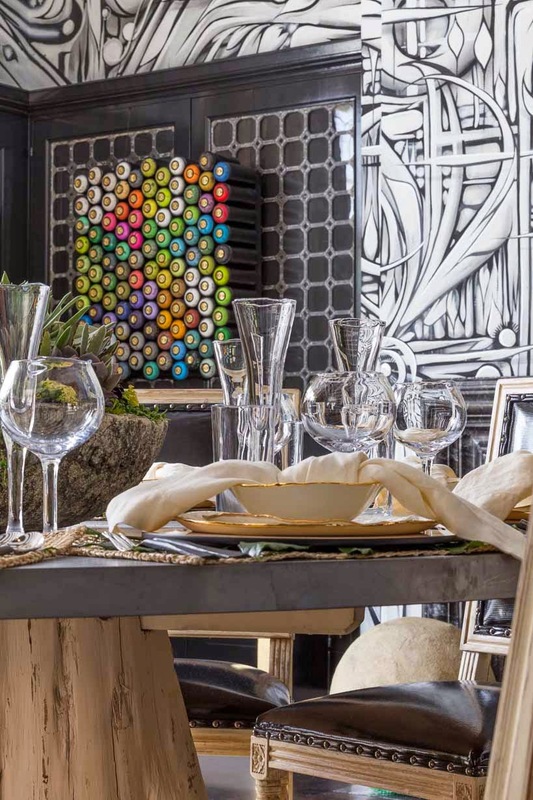 For my Showcase dining room, I was taken by the idea of juxtaposing the contemporary Street Art with classical architecture. It is the idea of honoring the present and the past simultaneously. 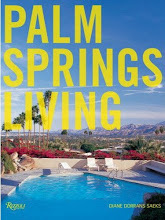 DDS: I admire your selections of crafted pieces, local talent, artists and artisans. 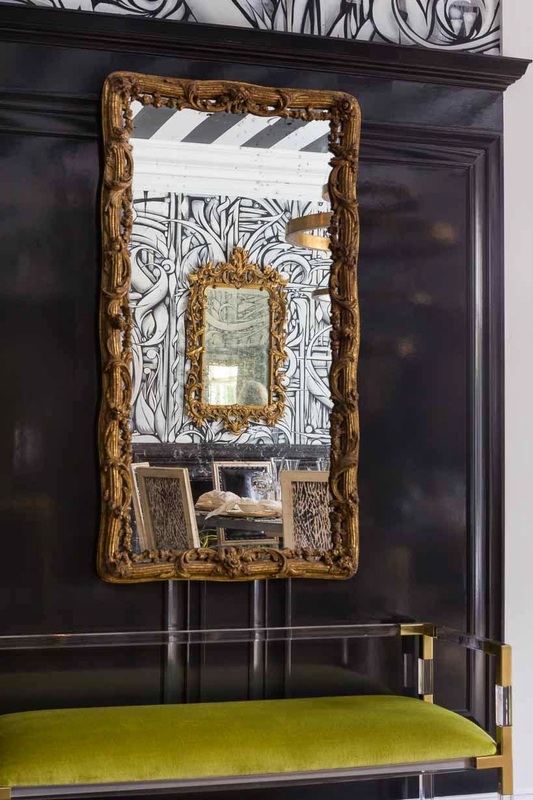 CS: I love the idea of combining the classical architecture and accessories like the Louis XV style mirrors and the Louis XVI style chairs with contemporary art (Ian’s Street Art Mural and Spray Can Sculptures) with natural and hand crafted pieces. San Francisco has a long tradition of street murals and the city is decidedly supportive of the Street Art scene. Ian Ross is a noted Bay Area/international street muralist and is known for his murals at numerous tech companies including Facebook and Google and others. The mural in my room is typical of his organic swirling forms inspired by nature. 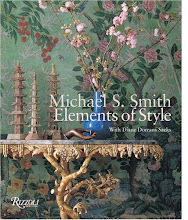 DDS: Today's best rooms mix vintage and new, and are enlivened by the juxtaposition of raw and refined, and crafted and artful. CS: That is exactly what I have tried to achieve in this space and in all my work. DDS: What was the final effect you wanted? Mood? CS: This is a very formal house and I wanted to shake it up a bit. I wanted the mood to be exciting and new, maybe a bit uncomfortable, moody, yet glamorous. 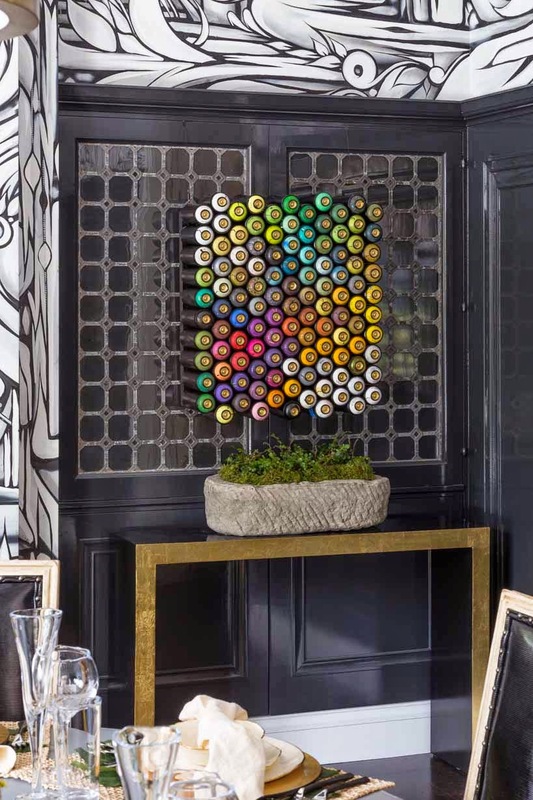 I wanted the viewer to experience the edge and grit of the Street Art Mural and Spray Can Sculpture against the alluring dark high-gloss charcoal walls, but to experience this in a space with elegant architecture, furniture and accessories. 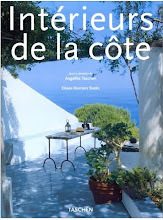 DDS: Cecilie, Orlando's design was a fantastic inspiration. 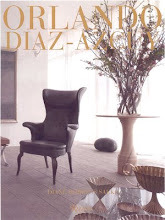 It was one of the most polished showcase rooms—and for reference, it is in my book on the designer, 'Orlando Diaz-Azcuy' published five years ago (Rizzoli). Thanks to Ian Ross and thank you for a provocative room. I love it. Thank you. 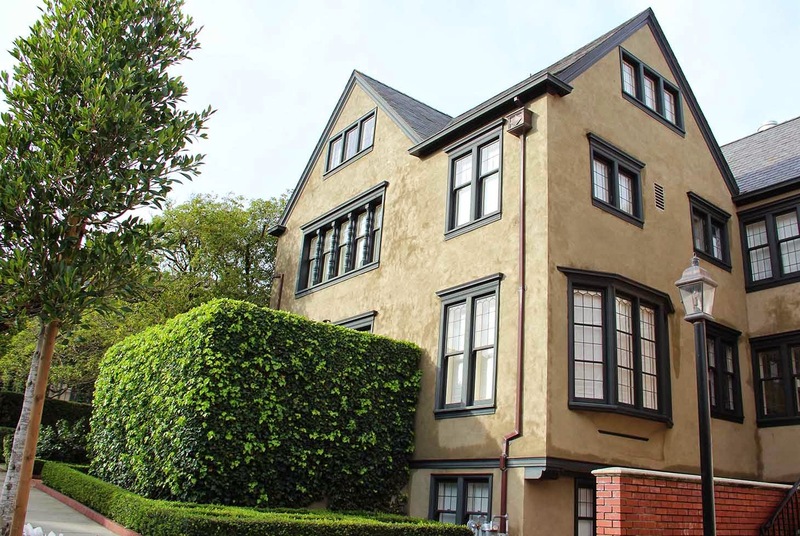 3630 Jackson was designed by famed architect Julia Morgan for Abraham Rosenberg and his wife Alice. Its original interior style mostly intact features a spacious reception hall with a dramatic grand balustrade staircase, gumwood paneling and beams, along with six bedrooms and eight bathrooms, a large, remodeled kitchen; and a wine room in the lower level. Beatiful California daylight glimmers throughout the house, reflecting Morgan’s art and craft of creating cohesive and well-lit interiors. Karter’s Bathroom: De Meza Architecture, Inc.
Twin’s Music & Play Room: Allison Caccoma, Inc. Lip Service: Nest Design Co. 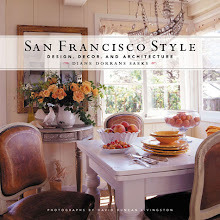 The San Francisco Decorator Showcase will be open from Saturday, April 25 through Memorial Day, May 25. Open Tuesdays through Sundays and closed Mondays, except for Memorial Day. Hours are 10:00am – 3:00pm (last entry) on Tuesday, Wednesday, Thursday and Saturday. On Fridays, the home is open from 10:00am – 7:00pm (last entry); and on Sunday and Memorial Day from 11:00am – 4:00pm (last entry). In addition, each Friday, from 5:00pm to 7:00pm, Showcase will host “Friday Nights at Showcase,” a weekly happy hour event with wine and opportunities to meet designers and hear about the latest trends. 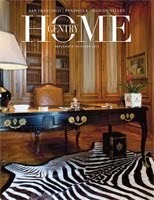 Check www.DecoratorShowcase.org for additional information on designers and special Friday Night events. Tickets are $35 for general admission and $30 for seniors (age 60 and over); and are available at the door and online at www.DecoratorShowcase.org. Group can be arranged in advance (415) 447-5830. For the past 37 years, the annual San Francisco Decorator Showcase has benefited the San Francisco University High School financial aid program, raising over $13 million and benefiting hundreds of students. Thanks to the generosity of sponsors, the participation of hundreds of accomplished designers, the school's trustees, parents, faculty, alumni, students, friends, and the thousands of Showcase visitors each year, the San Francisco Decorator Showcase allows San Francisco University High School to offer financial aid to its students. The showcase residence—which some interpret as Spanish Mission-inspired is a classic example of architect Julia Morgan’s residential work. 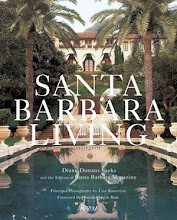 During her long career—Hearst Castle in California is a highlight—she leant an engineer’s skill with a creative stylistic and architectural eye. Her best buildings are always cohesive, elegant, informed and polished. 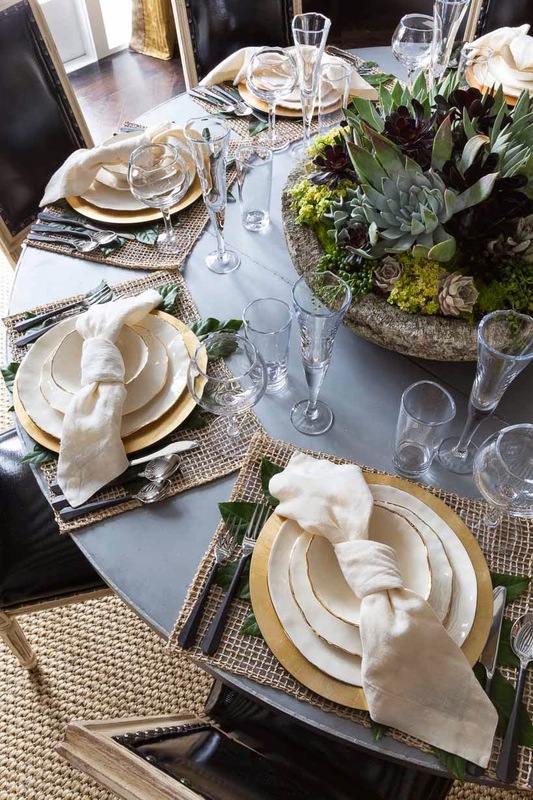 Situated in Presidio Heights, the house is understated and quietly luxurious. The Jackson Street residence was completed in 1917 for Abraham Rosenberg, the Dried Fruit King, and his wife Alice. The concrete structure is timbered with redwood and approached from a graceful side entrance. Originally two and half stories, now three, the 9,758 square foot residence sits on a 10,145 square foot lot, overlooking the forested and historic expanse of the Presidio and San Francisco Bay. The original construction cost of the house was $20,000. A stepped brick path leads to an arched entrance with clustered stone pilasters that continue across the arch as ribbing. A second level L-shaped façade shelters the doorway, with an overhanging bay that wraps around the second story. The bay features latticed windows set behind paired Ionic pilasters and framed by arches that repeat the line of the doorway. The mullioned downstairs windows are framed in timber. A high-peaked, gabled roof faces the street, with a five-light, lead-latticed bay below it. A simple concrete arch over the driveway echoes the arch above the front entrance. Cecilie Starin trained to be a fine art painter at the University of California at Davis under revered California artists Wayne Thiebaud, Bob Arneson, William Wiley, Roy De Forest and Manuel Neri. 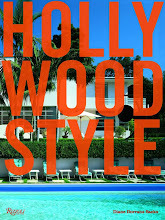 She received her BFA from Art Center College of Design in Pasadena where she studied graphic design and illustration. 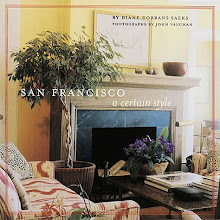 She attended the University of California at Berkeley Interior Design Program and focused her study on architecture and antiques.For nearly twenty years, Cecilie was a clothing designer for Smith & Hawken, Levi Strauss & Co. and The Lee Company where she led design teams that conceived and developed apparel, textiles, custom colors and fabric finishes. Cecilie’s work as a fashion designer took her to New York, Paris, London, Florence, Rome, Milan and to the Far East where she identified and analyzed emerging trends in design, shape and color. Cecilie brings her extensive training in fine arts, decorative arts and fashion design to each of her interior design projects. 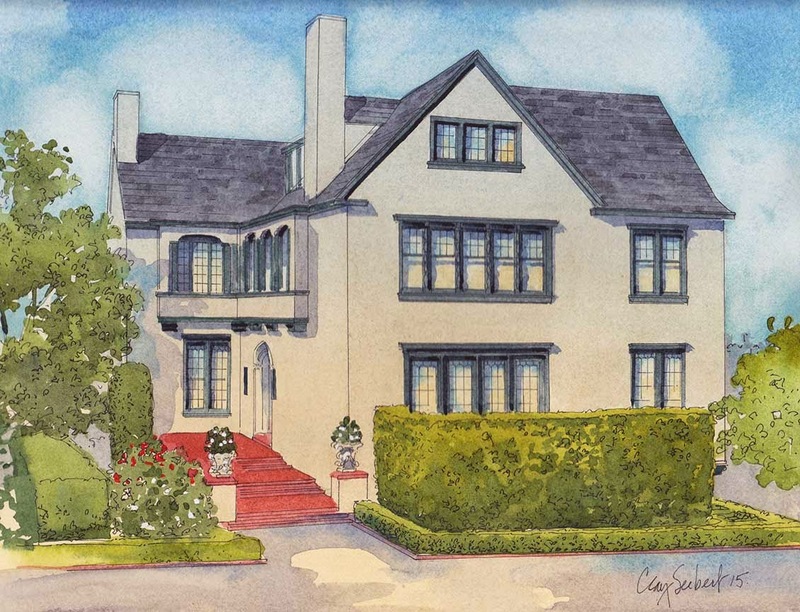 Exterior of the showcase house: Clay Seibert for the watercolor sketch and Alissa Kinney Moe for the photos. I am speechless. This room is for the ages...perfect counterpoint, attention to detail and overall beauty. Of course, the mural is the most outstanding element. 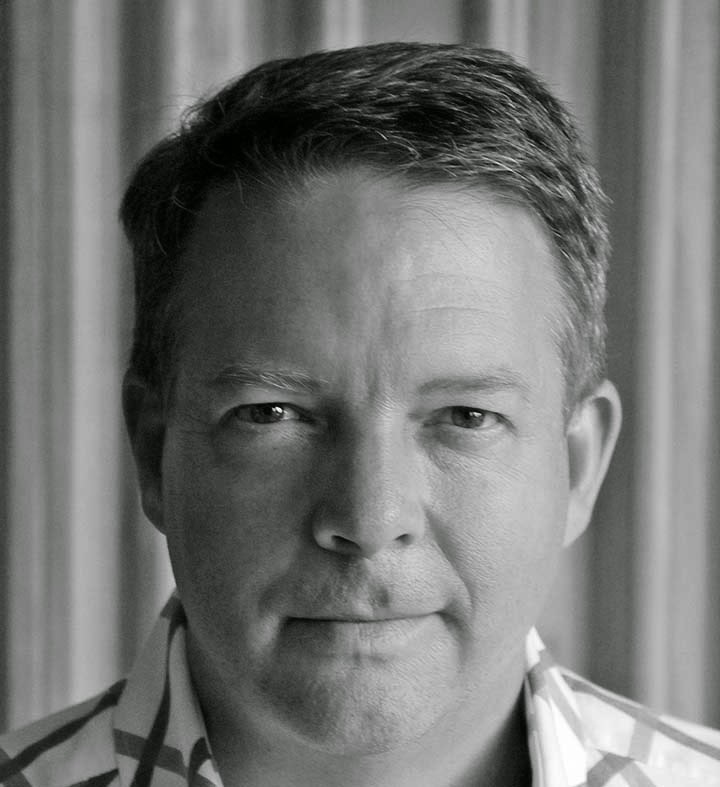 Thank you for the introduction to Ian Ross. 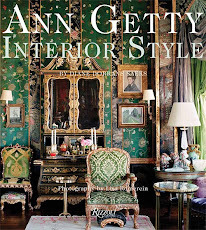 This is the first room I've seen in a long time I felt excited by – it is quite remarkably glamorous. Ir seems to me this designer need not be inspired by anyone else – she is completely herself. Another remarkable thing about the room is that it is not gender-specific in that it's neither masculine nor feminine – a very great thing to see. In short, I love the room. Dear Diane, thank you for the introduction to the oh so talented Cecilie and to Ian, whose murals make this dining room even more dramatic! It is done in such an imaginative and impassioned way, phenomenal! The room has such great energy. It's cohesive and at the same time wonderfully dramatic and surprising. I'm so happy you love this 'crashing entry' of street art at the party. It's highly successful.